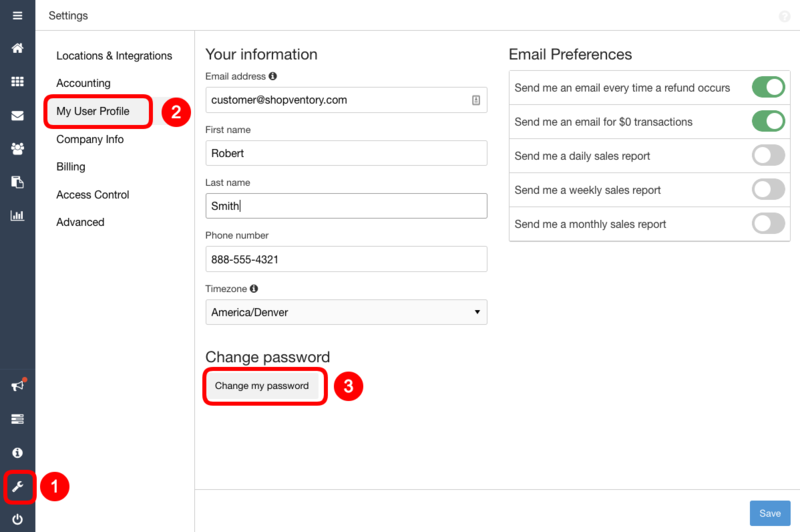 To change your password, visit the Settings section of Shopventory and switch to "My User Profile." You can go to the login page and select the Forgot your password link. This will take you to our password reset page. Simply enter the email for your account and we'll send an email with a link for you to reset your password. Didn't receive the reset email? The most common reason is that the email was incorrectly marked as spam or junk mail and filtered by your email provider, so please check your spam folders to see if it is there. 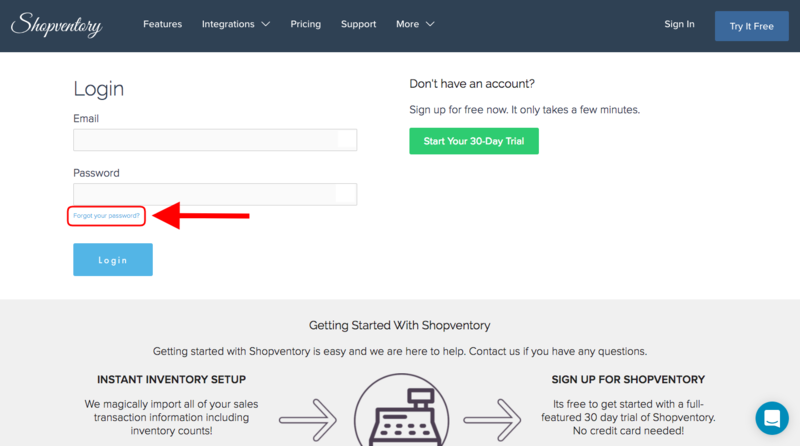 If you don't find it, let us know using the chat button or via email at help@shopventory.com and our customer service representatives will help you through the process.